Drones are becoming increasingly popular over the years, forcing franchisors and entrepreneurs to adopt this technology. Initially, people used to think about the future of drones being used commercially for businesses. But the reality is no longer as far off as people imagined. In fact, it has already begun. Unmanned aerial vehicles, popularly known as drones have exploded every segment currently available in today’s Indian business industry. They are reinventing old businesses and even generating new opportunities for brands and franchisors. Realizing that drones are capable of some incredible things, franchisors have started to adopt this technology in their businesses for improving their services. The Federal Aviation Administration (FAA) released certain rules and regulations on commercial drone usage, specifying the legal landscape for the use of drones for businesses. 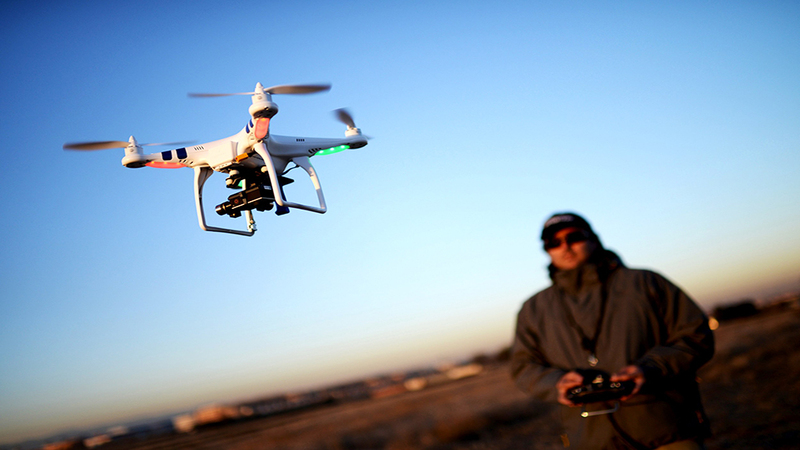 In fact, the previous year recorded a growth by 224 percent to nearly $200 million, rapidly increasing drones sale. Here are two business examples where drones could take over in near future. Investors could utilize the power of drones by benefiting farmers in many ways. In fact, experts believe that the agriculture industry carries an enormous area of opportunity for the drone industry. Not only entrepreneurs could save money for farmers, but the technology could be used to study and map the farmland and the irrigation system. In addition, drones could be used to spray pesticides, water, and fertilizers on crops followed by monitoring animals in the farm. Drone-based delivery service might be the biggest opportunities for food franchisors in the future. As F&B is among the fastest growing segment in the franchising world, the introduction of the drone is going to help the process by making things quicker and simpler. Restaurant owners could utilize the power of drones for delivering food at the doorstep of customers. It might turn out to be a successful step, as it could eliminate the requirement of the delivery boy which would result in cost-cutting. In addition, the aerial route of drones would result in faster delivery, making a name for your brand. The future of drones not only looks bright, but it’s also right around the corner. Make sure your business is ready to handle the impending demand for drone incorporation.